As an undergraduate he attended Rutgers College on an academic scholarship and was a Dean's List student and President of the Senior Class. Mr. Bosin also won a state championship in debating. At law school he was a member of the International Law Moot Court Team, and Research Assistant to Professor Ruth B. Ginsburg, now of the United States Supreme Court. He is admitted to practice in the states of New Jersey, New York and California and the United States District Court for District of New Jersey, and the Southern & Eastern Districts of New York. Mr. Bosin is also admitted to practice law in the Courts of Appeal in the Second and Third Circuits. 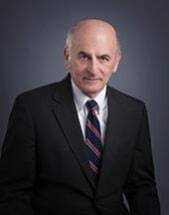 He is a member of the Labor and Employment Section of the Bergen County Bar Association, and the National Employment Lawyers Association. Mr. Bosin is also a member of the Federal Bar Association. In May 2008 he became a member of the Board of Directors of the New Jersey Chapter of the National Employment Lawyers Association. Mr. Bosin was recently received a peer rating of Pre-eminent by Martindale-Hubbell which is a testament to the fact that his peers rank him at the highest level of professional excellence.